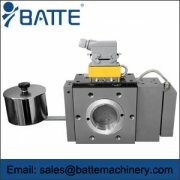 The special non-stop net changer for wire drawing and hollow plate lattice plate is selected as multi-station hydraulic net changer. 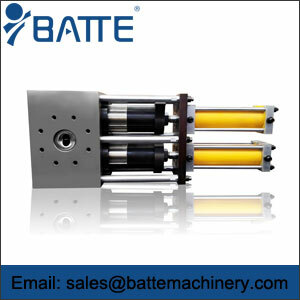 It has auxiliary runner and preheating exhaust device, positioning and guiding mechanism, adopts multi-station circulating filtering technology and "pre-intervention of net changing" system, and is driven by hydraulic pressure. 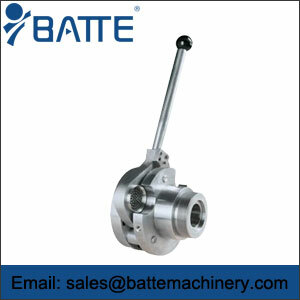 It keeps steady pressure and flow during net changing, without shutting down, breaking film, continuous wire, no leakage of glue and affecting normal production. It is suitable for the production of various plastic products such as monofilament, flat filament, fishnet filament, PP and PC hollow board. 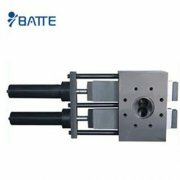 This kind of plastic products has high precision, long production process and great loss of net changing when shutdown. 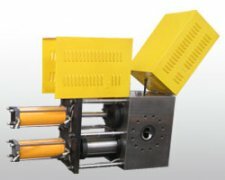 The special non-stop net changer for wire drawing and hollow plate can also be used in the production of wire drawing and hollow plate with PE and PP as raw materials. Its structure is novel and portable. The water-cooled seal will never leak and wear. 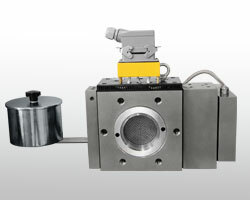 Pressure or time control network change, the distance of each network change can be set freely. Fully unmanned and fully automated operation, stable melting pressure and material flow, complete realization of constant pressure production, no shutdown, film breaking, continuous wire, no leakage of glue, no impact on normal production.